An article published in the journal “Astronomy & Astrophysics” describes the study of the protoplanetary disk AS 209. 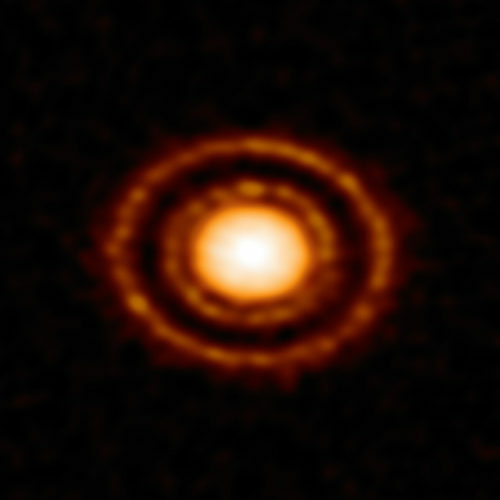 A team of researchers led by Davide Fedele of INAF Arcetri, Italy, used the ALMA radio telescope to observe that disk of gas and dust around a star in its formation phase showing a central core and two large rings with two large gaps. Their conclusion is that there’s at least one planet with a mass that could be close to Saturn’s orbiting at a considerable distance from its star. 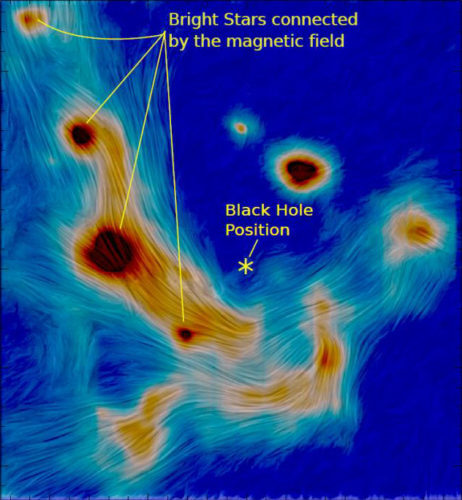 An article published in the journal “Monthly Notices of the Royal Astronomical Society” describes the detailed mapping of the magnetic field around Sagittarius A*, also known simply as Sgr A*, the supermassive black hole at the center of the Milky Way. A team of researchers used the CanariCam infrared camera installed on the Grand Telescopio Canarias to obtain the data needed to reproduce the magnetic lines of gas and dust that orbit around the center of the galaxy. The structure of the magnetic lines gives the result a style that reminds of Vincent Van Gogh’s paintings. An article published in “The Astrophysical Journal” describes a research on gas outflows from the center of an active galaxy. A team of astronomers used the ALMA radio telescope to observe highly ionized gas outflows caused by the supermassive black hole at the center of a dust-obscured galaxy (DOG) known as WISE1029+0501 or simply WISE1029 achieving surprising results. In fact, they detected the “signature” of carbon monoxide associated with the galactic disk but also discovered that the carbon monoxide gas in the galaxy isn’t influenced by the outflow of the strongly ionized gas launched from the galactic center, contradicting the models that seemed more plausible. An article published in “The Astrophysical Journal” describes the confirmation that the supernova DES16C2nm is the most distant ever discovered. 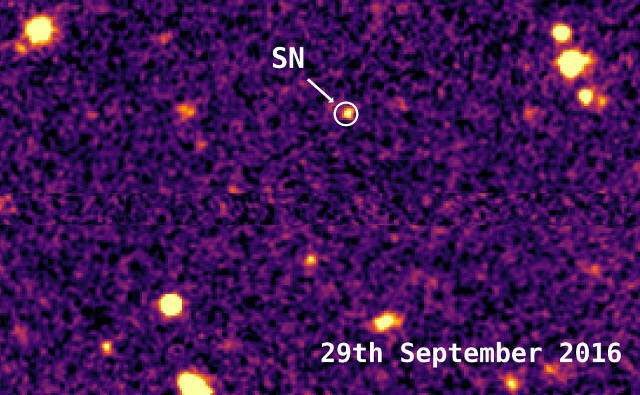 A team of astronomers led by the University of Southampton used data collected by the Dark Energy Survey (DES) and various telescopes to study it and classify it as a superluminous supernova (SLSN) or hypernova, the brightest and most rare type of supernova. The distance of the exploded star has been estimated at about 10.5 billion light years from Earth.